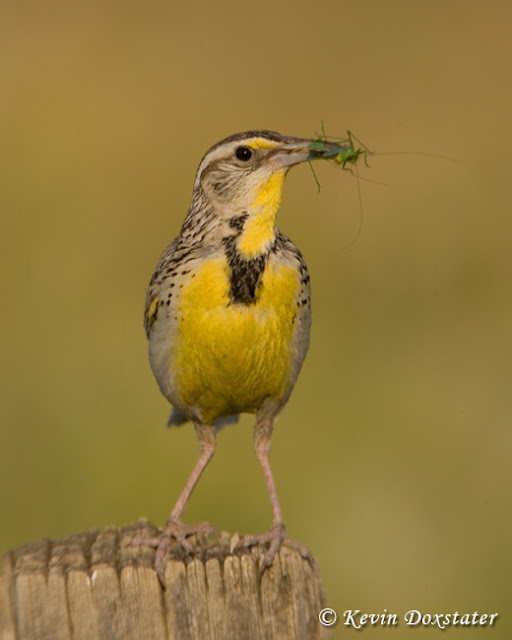 Birding Is Fun! : Being Birds - Bon Appetit! Several months ago I offered up a post here at BiF called "Being Birds" that featured several images of birds engaged in different activities associated with their daily lives. This time around we'll have a theme - birds with food - that I came up with while, you guessed it, preparing my own meal. 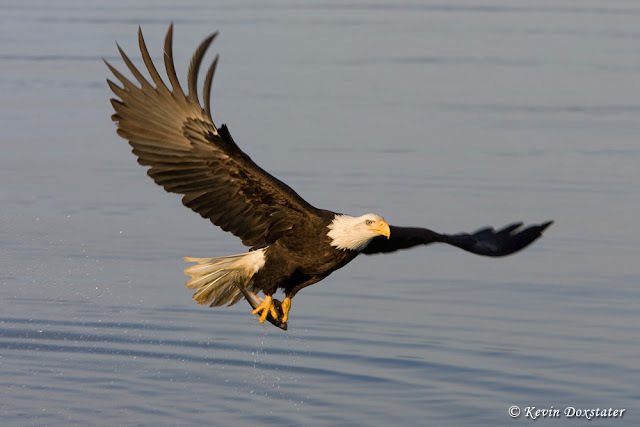 To begin our banquet, a Bald Eagle with the catch-of-the-day in Homer, Alaska. Fish/seafood will appear on our menu frequently; here a Double-crested Cormorant (love those blue eyes!) struggles with a catfish caught in the swamp along Anhinga Trail at Everglades National Park. If you've never been there, by the way, put it on your list of places to go. Great photo ops, often at close range - of both birds and alligators. I have several photos of this Western Meadowlark in North Dakota with some kind of insect, but I've never quite figured out what it was. Shall we add it to our salad for a little crunch? Some of our Birding Is Fun contributors are now enjoying the food of South Texas at the Rio Grande Valley Birding Festival. 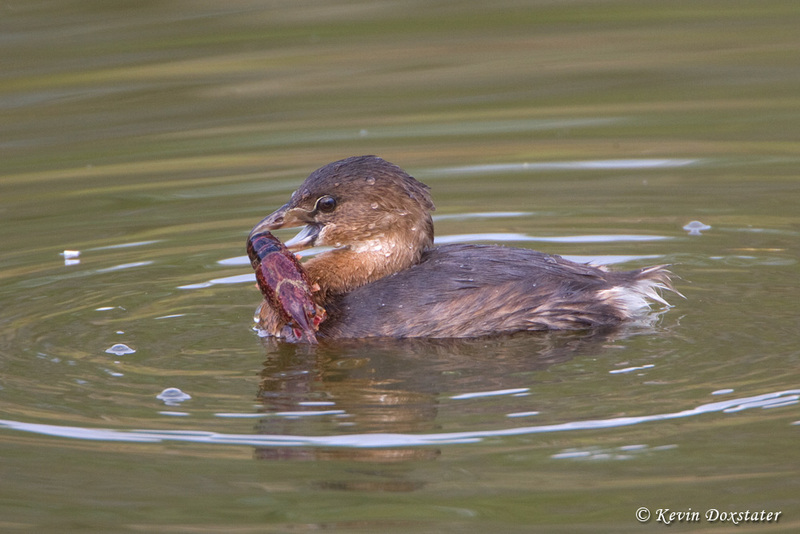 This Pied-billed Grebe caught a fresh Crayfish (I think that's what it is . . . ) at Edinburg Scenic Wetlands, one of the great places to bird in that area. Fort De Soto Park on Florida's west side will always be one of my favorite places for shorebirds. This Wilson's Plover has just plucked a nice little crab out of the sand. 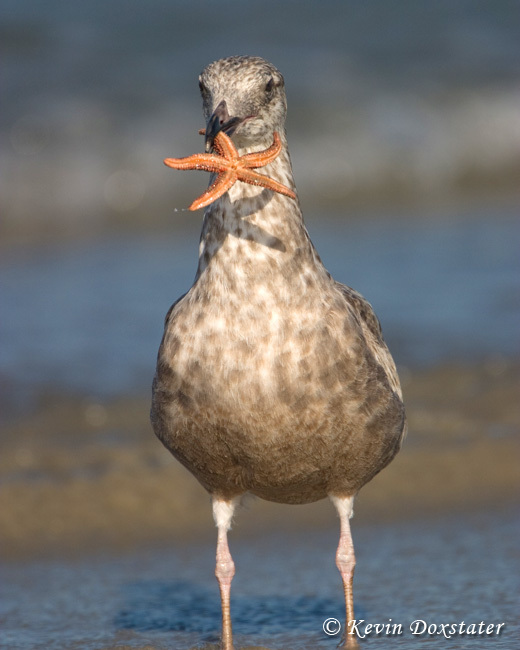 Over on the other coast of Florida, this young Herring Gull has a nice starfish that I never saw get eaten by any of the gulls that day, though many were being caught. Just always wondered how they managed to break off the legs so they could swallow them. 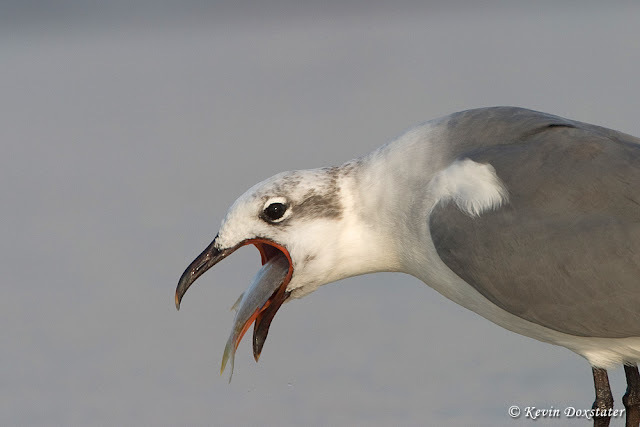 Not far from where this photo was taken (Ponce Inlet, FL) is a restaurant called Down The Hatch, which is exactly where this fish is going, right down the Laughing Gull's "hatch." 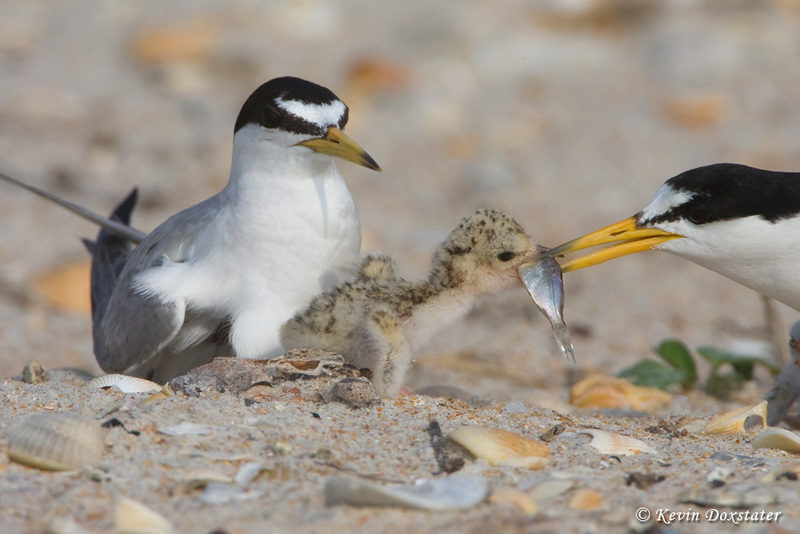 We even have a kid's menu - the Least Tern chick will struggle, but eventually manage to swallow that fish, nearly as long as the little bird is tall, whole. Then promptly take a nap. A little nectar to wash it all down? 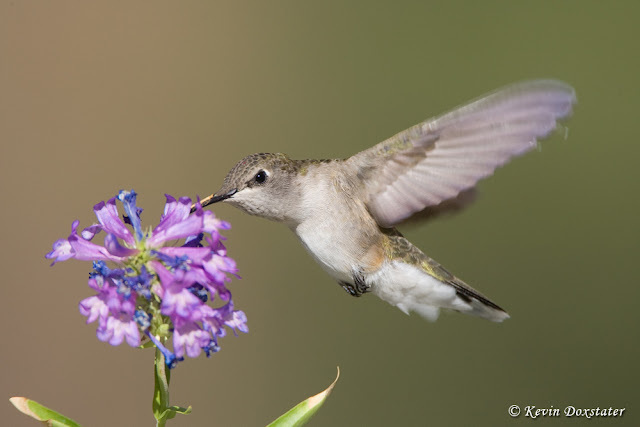 A female Black-chinned Hummingbird here in southern Utah. 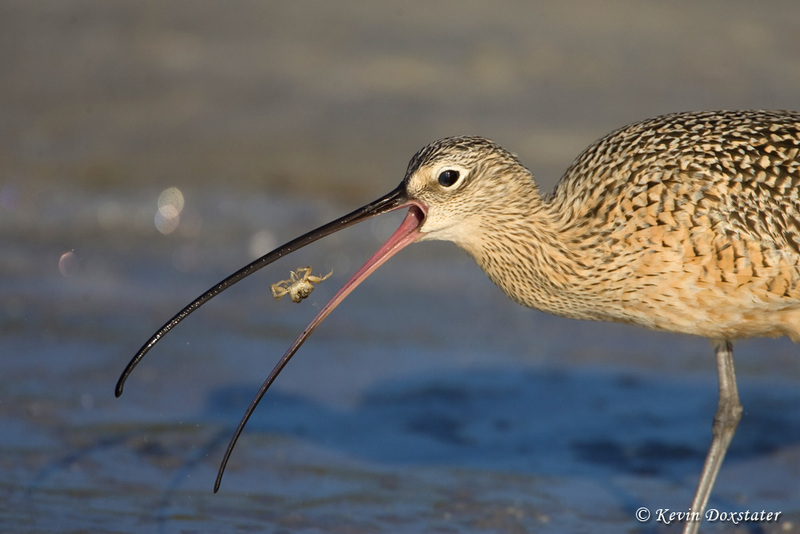 And last, but not least, another from Fort De Soto where this Long-billed Curlew is tossing down a nice crab. Bracing for the first blast of winter to arrive in my neck of the woods - snow followed by some bitter cold (1°F forecast for Sunday - brrr!). That'll slow down the bird activity for a few days, but the onset of winter means it's also time to start looking for Rough-legged and Ferruginous Hawks plus Bald Eagles coming into the area for the season. Good birding and I'll see you next month! I loved this post. It's really fun. The photo of the chick taking that fish is so endearing. It's amazing to know it could swallow it down hole! 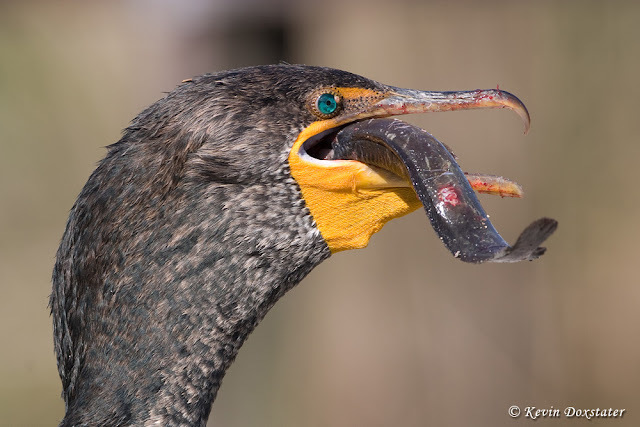 Great great shots of masticating birds! Bird have hard lives, but many of them do get to eat very well! We have to pay top dollar for some of these food items. Wow Kevin! Once again you deliver an amazing post! Great photography and a super cool theme. Love it! Super fun post filled with superb photographs! 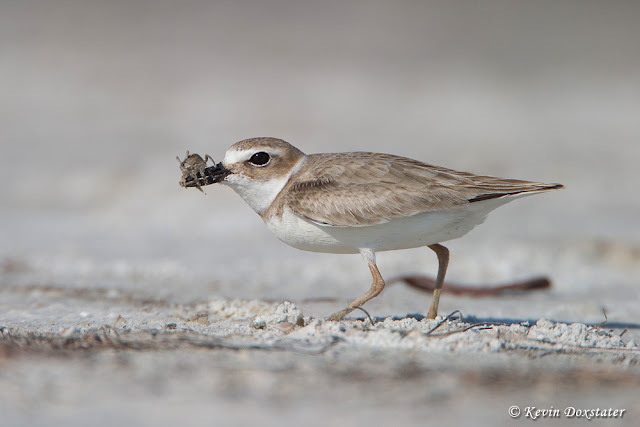 My favorites are the Wilson's Plover, Least Tern chick and Long-billed Curlew, though they all are fabulous. Another fantastic post Kevin! Nice to see all those warm summer shots as winter has just arrived here too. On the bright side though, the snowy owls have arrived for the season! I can tell you is that there is a lot of this great bird. Please tell us about the lens and use the camera's manufacturer. My guess is that the camera lens is 300 mm and Canon? It is taken with the motor drive. Ryoma Sakamoto: All of the images were taken with a Canon EOS 1D MkII, 500 f/4 IS, and 1.4X teleconverter. The Long-billed Curlew was, amazingly, accomplished with a single shot.